We are probably a lot closer than you think - only 45 minutes from Sacramento and Lodi, and 2-3 hours from the San Francisco Bay Area. The Vino Noceto experience offers a range of activities to its guests. 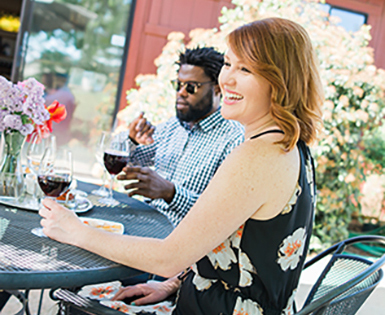 Enjoy a complimentary taste of our award-winning wines, and make a plan with family and friends to picnic, bocce, or join us for a private tasting or vineyard tour. If you have any other questions (or just want to learn more), please call our tasting room at 209-245-6556 x2. We merrily welcome groups, but reservations are required for limousines, buses, & groups of 8 or more. Join us for a Farm-to-Glass tour, Farm-to-Fork tour, or Private Tasting and get an intimate & exciting education on viticulture and winemaking from a member of our team. 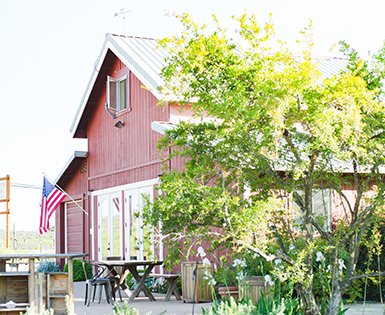 Our tasting room has lived in the little red barn since 1992. The barn has had a few renovations since then but still has a friendly, laidback, and energetic vibe. Come have fun with the Noceto team at one of our upcoming events! Events are a great way to have fun with your friends and connect with fellow wine lovers.